Your LinkedIn profile is essentially a platform to shape how others see you, highlight your abilities, products, or services, and explain how your work impacts lives. Whether your goal is job search, branding, reputation management, or sales, people are Googling you -- and your LinkedIn profile is more often than not their first point of contact. With a focus on who you are, the value you deliver, and the culture you cultivate, the profile you'll create with the help of this guide will make that first connection a positive one -- giving you a better chance to see results. Optimize your LinkedIn profile -- and get results. 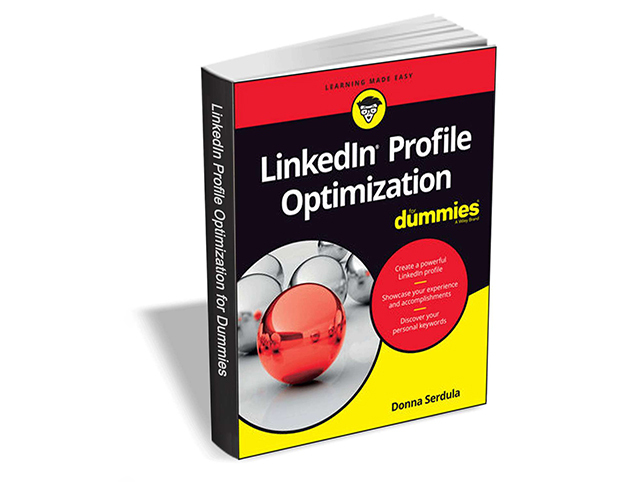 LinkedIn Profile Optimization For Dummies usually retails for $14, but BetaNews readers can get it entirely free for a limited time. The offer expires on February 15, so act fast.